Tax revenue from electronic pull tabs appears to have the broadest political support as a public funding source for a new Minnesota Vikings stadium. But there's no guarantee the new devices would bring in the cash state officials expect. Before DFL Gov. Mark Dayton on Wednesday announced he would delay his stadium proposal, he said adding electronic pull tabs was "the most immediately available and plausible" solution. The Department of Revenue estimated electronic pull tabs could bring in up to $42.7 million annually in taxes from the sale of the games once the devices are installed in 3,500 bars and social clubs throughout the state. Dayton said that money could be used to pay off the debt if the state borrows money to contribute to the new stadium. But the estimate is based on a series of assumptions that are only loosely linked to hard data. That's because no other state has a system like the one that would be proposed in Minnesota, so state officials had to combine whatever data was available from the state's own experience with paper pull tabs with limited information on electronic gambling ventures in other states. Estimates also assume that more non-profits will participate in charitable gambling, that more bars will be interested in placing devices in their establishments, and that enough Minnesotans will play the games so that each electronic pull tab machine sells an average of $250 worth of games per day. "There's no real model in the country to look at," said Tom Barrett, executive director of the Minnesota Gambling Control Board, which helped put together a report on the impact of adding electronic pull tabs in the state after Rep. John Kriesel, R-Cottage Grove, introduced a bill earlier this year. Minnesota already has traditional paper pull tabs. Players pull away tabs of paper to reveal a picture, and if the pictures match they win cash. Electronic pull tabs work the same way only that instead of paper, players reveal the pictures on a screen using their finger. Under Kriesel's proposal, paper pull tabs would still be available in addition to electronic, though officials predict the electronic versions will become much more popular. 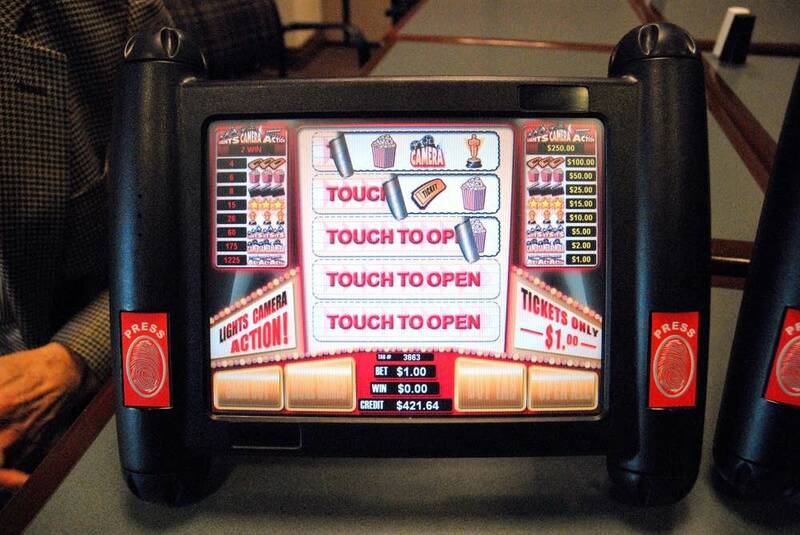 The state of Virginia is expected to implement electronic pull tabs next year, but even when it's up and running it will only take place in bingo halls and social clubs — not regular bars. Idaho has a pilot video lottery system, and Florida has some video pull tab and video bingo machines similar to the ones Minnesota would use. But none of those states are very good comparisons for Minnesota — a top charitable gambling state. "They're different systems and they're not on the same level as ours, so it is hard to estimate," Revenue Commissioner Myron Frans said. "We take information both from the industry and from our economic model and try to predict as best we can." Frans said he believes the $42.7 million estimate is conservative. But he acknowledges that sales taxes and revenues from license fees have both been easier to predict. "With these revenue notes it's a difficult process, and especially when we don't have a history for it," he said. There is also no hard evidence to support projections about electronic pull tabs luring more gamblers. Backers, such as Allied Charities of Minnesota, which pushed for electronic pull tabs even before it became a possible stadium funding solution, argue the electronic nature of the devices will draw more people to the games. "We have a younger generation of people that have grown up on computers, video games, iPhones and now iPads," said King Wilson, the group's executive director. "We think electronic pull tabs are just going to be more appealing to people." Minnesota in 2009 brought in more tax revenue from charitable gambling than any other state, according to the National Association of Fundraising Ticket Manufacturers. That year, charitable gambling — mostly in the form of paper pull tabs — generated $36.6 million for the state while sending $43.3 million to charities. But those numbers have dropped by 40 percent in the last 10 years. Wilson said the statewide smoking ban and an economic downturn were factors. He also says paper pull tabs have lost some of their popularity. "We're attempting to modernize our current games," he said. Bar owners are the other group that has pushed for electronic pull tabs. The charities pay bars either to rent space for a pull tab booth or to have the bar run their pull tab operations. The system would be similar with electronic pull tabs, allowing bars that don't already have pull tabs an additional source of revenue. And then there's the prospect of attracting customers, said Frank Ball, director of the Minnesota Licensed Beverage Association. "The biggest thing for the bars with this is to get people in the door," he said. How Minnesota consumers would respond to electronic pull tabs is a big unknown. No consumer surveys have been done in the state showing that people are more likely to participate in electronic pull tabs as opposed to paper pull tabs. It's possible machines could be installed in bars only to be ignored by the very patrons the state had hoped would start playing. "This is something where you're making an estimate of how popular they'll be," said John Spry, a business economics professor at the University of St. Thomas who has studied charitable gambling. "If someone introduces $29 plane tickets to Las Vegas, then what? There's all kinds of strange things that you didn't have in your model that could become an issue."